Largely as a result of the work of AJWRB and its supporters, it has become fairly well-known that the Watchtower permits the use of all plasma derivatives. 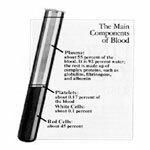 These are concentrates of specific plasma proteins that are prepared from pools (many units) of Plasma. Read the rest of this article. . .